There have been several important developments in the struggle to repeal President Obama’s health care reform law. The Republican electoral tide that swept the Democrats out of power in a landslide victory last November was based in large part on the promise of Republicans to roll back the law that is already driving up health insurance costs. They are attempting to make good on that promise. You have likely already heard that the Senate killed the Republicans’ first direct attempt at repeal. HR 2, The Repealing the Job-Killing Health Care Law Act, passed the House of Representatives on January 19 by a vote of 245 to 189. Georgia Democrats Sanford Bishop (D-2), Hank Johnson (D-4), John Lewis (D-5), John Barrow (D-12), and David Scott (D-13) all voted against repeal. All of Georgia’s Republican representatives voted for repeal. Three Democrats from other states did join the Republican majority in voting for repeal. The drive stalled in the Senate, however. As expected, the Democratic majority voted against the repeal. All 47 Republicans voted for repeal, but 60 votes were needed to move the bill forward. Both of Georgia’s senators, Saxby Chambliss and Johnny Isakson, voted with the Republican minority. The chances were slim that the bill could pass the Senate at this point, but the vote was important to get the Democrats on record. The second development was that a second federal judge ruled Obamacare unconstitutional. Just before Christmas federal judge Henry Hudson ruled that the individual mandate that is central to Obamacare was a violation of the Constitution’s commerce clause and did not constitute a tax as the president claimed. This suit was brought by the state of Virginia. The most recent ruling was in Florida on a lawsuit brought by twenty-six states against the new health care law. Georgia is a party to the lawsuit as well. The ruling was delivered by Judge Roger Vinson and generally can be boiled down to the fact that the federal government does not have the right to force Americans to engage in private commerce. As Judge Vinson made clear, the case was not about health care, but about the federal government usurping its constitutional authority. Some leftists make the claim that Judge Vinson (as well as Judge Hudson) is a judicial activist. Appropriating conservative terms does not mean that they appropriate conservative truths as well. The duty of the judicial branch is to strike down laws that do not conform to the Constitution. Obamacare clearly does not meet that test. Judicial activists do the reverse. They twist the Constitution to match their own beliefs and opinions. The likely next step for Obamacare is the Supreme Court. The Supreme Court is often reluctant to overturn popular legislation, especially since FDR tried to pack it with friendly justices after too many of his New Deal programs were overturned. Obamacare is not popular, however. It never has been. And more than half of the states have signed on to lawsuits opposing it. Still, the makeup of the Court means that striking down the health care law is not a sure thing. There are typically four justices who are considered strict constructionists, meaning they use a literal interpretation of the Constitution. These are Chief Justice John Roberts, Antonin Scalia, Clarence Thomas, and Samuel Alito. The liberal wing of the Court is made up of judicial activists who don’t believe that the Constitution necessarily means what it says. These justices include Stephen Breyer, Ruth Bader Ginsburg, Sonia Sotomayor, and Elena Kagan. 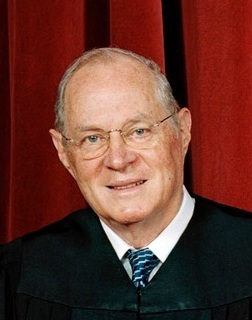 The one remaining justice is Anthony Kennedy. Kennedy is a swing vote who could go either way. The final development was the passage of HR 4, the Small Business Paperwork Mandate Elimination Act of 2011, by both the House and Senate. This bill to repeal Obamacare’s 1099 reporting mandate for businesses had bipartisan support. In the House, the vote was 245 to 89, exactly the same as for the repeal of the entire Obamacare law. The Georgia delegation once against voted along party lines. In the Senate, it was a different story. The measure sailed through the Senate on a veto proof 81 to 17 vote. This means that 34 Democrats joined with all 47 Republicans in voting for the bill. The 17 no votes were all Democrats. Georgia’s Republican senators supported the bill. The large defection is probably due to the fact that 23 Senate Democrats will be defending their seats in 2012 (while only 10 Republicans are up for re-election). Many of these Democrats who were elected in the Democratic sweep of 2006 face tough re-election campaigns, especially those who are from otherwise conservative states. If current trends prevail, it is likely that the Republicans will take control of the Senate in 2012. The repeal of the 1099 provision signals the beginning of Obamacare’s death by a thousand cuts. If the Supreme Court does not strike it down first, the Republicans will hack it apart piece by piece. The likely targets will be the most onerous provisions and those slated to go into effect first. As long as conservatives and Republicans don’t waver and keep presenting the truth to the American people, Obamacare’s days are numbered.